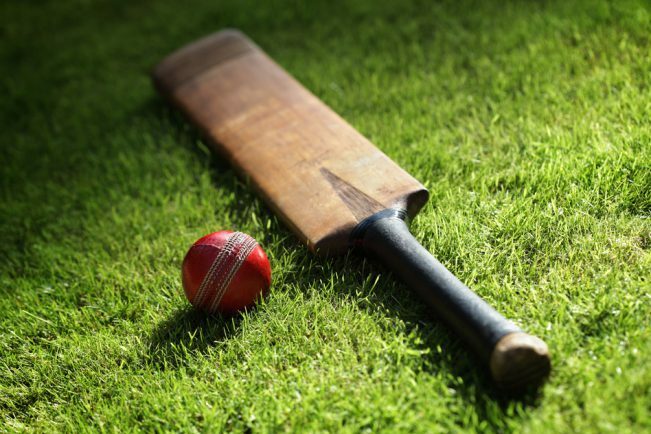 STUDLEY bagged their first victory of the Warwickshire League Premier Division season – and a crucial one at that – as they thumped fellow strugglers Hampton & Solihull by eight wickets. The home side were skittled for just 46 inside 24 overs as Studley duo Luke Deeprose (4-26) and Andy Rhodes (6-16) ran riot. The pair were the only bowlers used by Studley, who then cantered to 47-2 in reply in 13 overs including an unbeaten 21 from Jack Williams. Victory moved Studley above Highway Spartans and off the bottom of the table, to within four points of third bottom Hampton & Solihull. Studley host Bablake Old Boys on Saturday. FECKENHAM suffered an agonising one-wicket home defeat to Burghill, Tillington & Weobley in Worcestershire League Division One. The hosts were put into bat and, in conditions favouring the bowlers, only Will Davies (23) and Travis Bartels (40) provided resistance of note as the Millers were dismissed for 131 in the 35th over. However, the home side came roaring back with the ball and 3-17 off ten overs from Tom Coulson and two wickets apiece for Matt Henning, Bartels and Yasir Mehmood put Feckenham on the verge of victory. There was still to be another sting in the tail though as final pair John Terry (12no) and James Burston (21no) produced a partnership not in keeping with the match to guide the visitors to 134-9 in the 40th over. Sixth placed Feckenham visit Colwall on Saturday. COOKHILL moved into second place in Worcestershire League Division Six thanks to a six-wicket victory over visitors Birlingham. The home side produced a disciplined bowling performance throughout as Liam Donohoe (2-24), Andy Fennell (1-20), Neil Shuttleworth (1-36) and Kenny Hirst (2-35) all kept a tight rein on the visitors. However, Pete Coxhead (65) and David Clasen (39) both batted well in the middle order to enable Birlingham to post a competitive 195-7 off their 45 overs – a total boosted by 31 extras. With rain forecast and Cookhill falling behind the required run rate, opener Daniel Mills (37) perished trying to up the ante but Matthew Palmer remained unmoved and hit three sixes in one over to put the hosts ahead of the game. Awais Zubair took 2-34 but Palmer’s knock of 78 proved crucial as Cookhill reached their target with 17 balls to spare. On Saturday Cookhill travel to leaders Cutnall Green, who have a seven-point advantage.